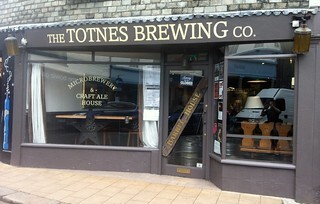 Totnes boasts three local craft-breweries. Nine years ago there were none. 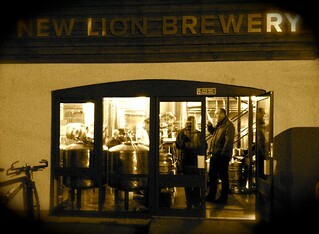 100 years ago the Lion Brewery was one of the largest employers in town. Join us on this fun, Friday afternoon trail and we’ll test out the hypothesis that this humble resurgence of local breweries is not a passing fad, but part of a subtle yet significant shift in our economic culture. Doing things on a smaller scale and closer to home is making more and more sense to more people. The benefits include creating more fulfilling livelihoods, making businesses more sustainable, circulating more money locally and bringing communities together. Join us to explore how Totnes has become recognised as a bit of a centre for local food and drink. We will walk the new ‘Totnes ale trail’ visiting each of the breweries, making some interesting stops along the way. > ATMOS, an ambitious bid by the town to take their now redundant dairy into community ownership and develop it to meet local needs, including spaces to accommodate food businesses. We will meet the workers and / or owners of the breweries and hear their stories while we sup their fine produce! We’ll chat and make merry as we go. You need to be able to walk, but we can make special arrangements with advance notice, if necessary. 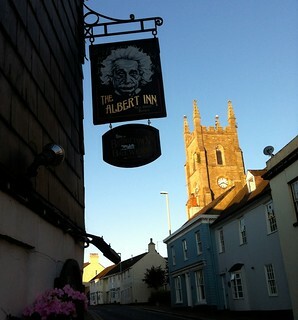 Meet: 4pm at the tree in the Civic Square (Market Square) on Totnes High St. Cost: Donation – pay what you can or you think its worth. Suggestion is £10 for locals, £20 for visitors, but it is up to you. Bring some cash to spend at each bar! We’ll meet by the tree in the Market Square at 4pm.